The Jetset Diaries, Sandstorm Twist Dress, buy here. Antandre Fine Jewelry, Aegis Ring to Bracelet Hand Chain, buy here or similar here. 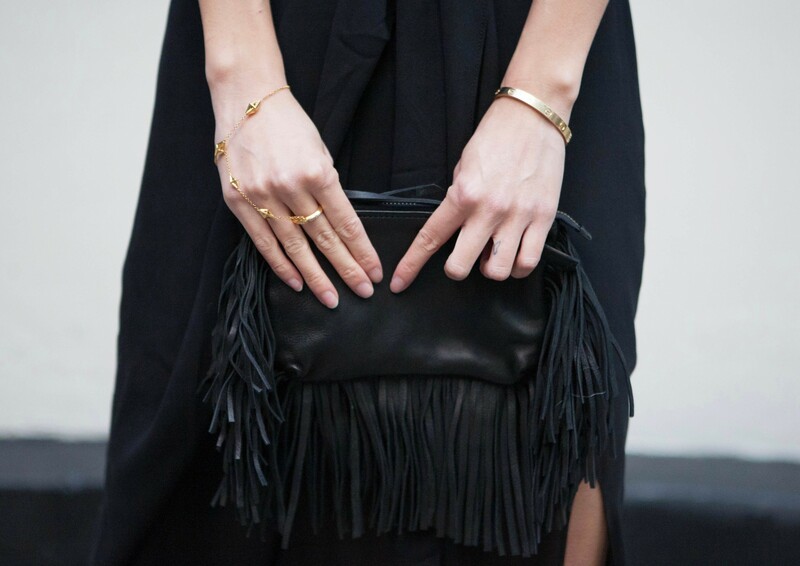 Figue, Fringe Clutch, buy here or similar here. Alexander Wang, Gladiator Sandal Heels, similar here.